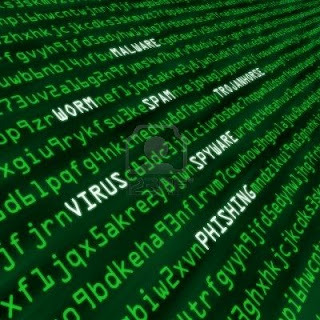 The Symantec anti-virus software company recently confirmed that, cyber-attacks worldwide have increased by 42% in 2012. This increase is due to both techniques used by criminals getting much diversified and by hackers taking advantage of both individuals and businesses users carelessness. Thus, attacks on small businesses have been multiplied by three in 2012. With the Internet, cybercriminals’ imagination has no limits for cyber-attacks. Every year, we discover new attack techniques. During a recent press conference Laurent Heslault, director of security strategy at Symantec, made an overview of the new techniques used by hackers. Phishing is a technique of cyber-attack that has become very common. You may have already received this kind of email that is intended to mislead a person into believing that the email sender represents a legitimate institution (bank, utility or telecom company, …). The new technique of spear phishing is more lucrative: it is to send an email to businesses by addressing the executive secretaries so that they print a document to their manager. You must click on a link for this document. To ensure that they will, these workers receive a phone call, in the language of the country and without accent, to encourage them to submit this document to the director as an emergency. Of course the link sent in the email is intended only to introduce a “malware” in the computer system of the company. Also websites often contain viruses, in particularly website versions for smartphone. It is indeed very simple to create an iPhone application with a development tool such as AppStar 2.0. Unfortunately, AppStar 2.0 is infected by hackers for cyber-attacks, so that application developers use already “compromise” your smartphone during transfer. Nowadays, marketing and originality are ways to launch new trends. Sunzand is an application that turns the screen of the mobile phone into solar panel: according to the developers of this application, this way, you do not need to recharge the phone. In reality, it is mainly used to penetrate the user’s mobile and collect its contact information. Also talking about smartphones, Symantec has identified many vulnerabilities of mobile phone operating systems. The Apple iOS and displays 387 vulnerabilities, while Android Google has only 13 points of vulnerability. In 2012, mobile malware increased by 58%. Besides, the spammed emails being now increasingly filtered by the mail boxes, hackers are now transferring to social networks that contain a wealth of personal information. Various techniques exist, such as the creation of false “like” buttons on Facebook, which leads to install malware. Last but not least, the cloud is also in the crosshairs of cyber attackers. By introducing a cloud server, hackers access to a wealth of information sometimes to all your personal data. To protect your Internet connections on your PC or mobile, choose a VPN: A VPN service encrypts your Internet connections and keep private the sites you visit and the information you give on these sites. Any information you send will go directly into your secure virtual tunnel. With the VPN service, you can easily direct your traffic as coming from one of the available countries. Your computer or mobile / tablet will connect to the Internet from one of these countries and no one can intercept your online business. Changing your IP address, through le VPN service, is one of the most important steps to surf on the Internet anonymously and safely.